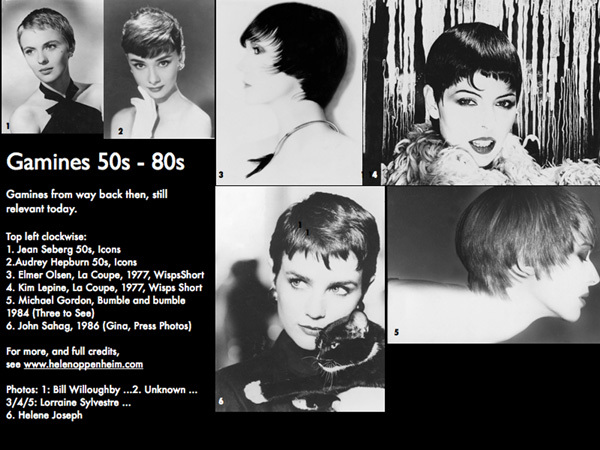 Home » Posts Tagged "50s Hair"
Fall Fashion Week albums coming later. This sneak peek from the Douglas Hannant show with a ’50s faux page by Edward Tricomi, Warren-Tricomi Salons, a glam ’50s face with a double liner at the ends of the eyes and the perhaps best lips of the week by Jason Hoffman for Nars. Watch the Fashion Week menu on www.helenoppenheim.com for a unique look at hair and makeup, some with how-tos. However, I must admit, sorry guys, but very few hairdressers did anything new and exciting in New York. We have to wonder why so much so ordinary, and why the press accept so many ponytails and everyday hair as trendy newsworthy hair – again.